Staines Mens Hockey Club was formed in 1890, making it one of the oldest hockey clubs in the world. Its early years were very illustrious with several internationals playing for the club and a number of gold medals being won by Staines members in the 1908 Olympic Games. The men’s playing strength increased after the move to Worple Road in 1972 and a Staines Ladies team was established in 1979 increasing by 1986 to four ladies sides that entered league hockey and by 2001/2002 all of the club teams, both men and ladies were playing some form of competitive league fixtures. From the 1988/89 season it was necessary to play 1st XI league matches on artificial grass pitches and the home games were played across a selection of local schools. As more and more levels of league matches required artificial surfaces, it became clear that Staines needed such a pitch on their own ground. 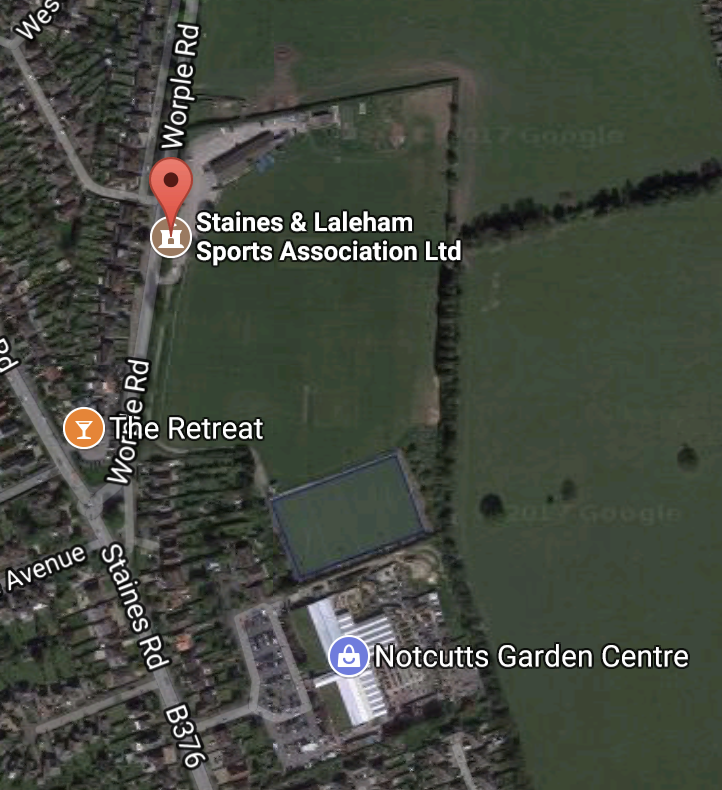 Efforts had been made over many years by the Staines & Laleham Sports Association to purchase the freehold of the ground from London Transport and in 1994 the freehold was acquired and the Club pursued the opportunity of getting its own artificial pitch, with planning permission finally being granted in January 1996. Despite all efforts to gain lottery funding, our application was unsuccessful so the Club decided to fund the project by other means and over the 2000/2001 season the fund raising was stepped up and a substantial loan from the Spelthorne Borough Council was negotiated. In December 2000 preliminary work on the pitch was begun and by May 2001 the pitch was laid and an inaugural Club Day was held on June 2nd 2001. After 15 years of service, the original artificial pitch needed to be replaced and once again, after gaining no lottery assistance, the Club set to raising the required funds through donations and loans. In September 2016 the old astro was replaced by a state of the art Desso Trophy PRO pitch, with the first competitive match being played in October 2016. Staines HC has several EHL recognised coaches at the Club to develop you to whatever standard you would like to get to, no matter where you start from and there is also an excellently run boys and girls colts section, catering for most age groups. The umpire program on offer at the club is amongst the best in the South of England and we have a number of National Panel umpires. As well as a complete league programme for all teams, both the Men’s and Ladies sections participate in various tournaments and festivals across the UK with our social environment earning us the reputation as the friendliest club in the County.